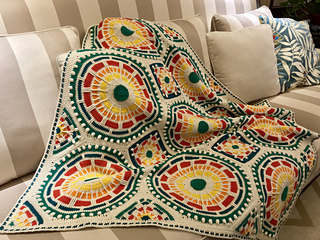 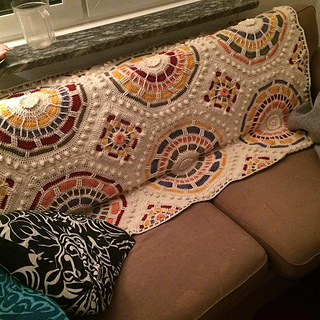 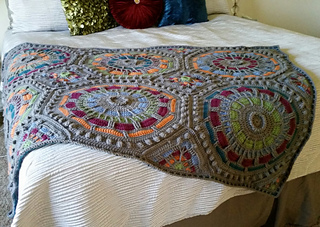 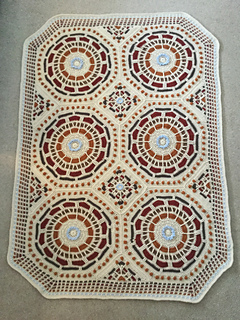 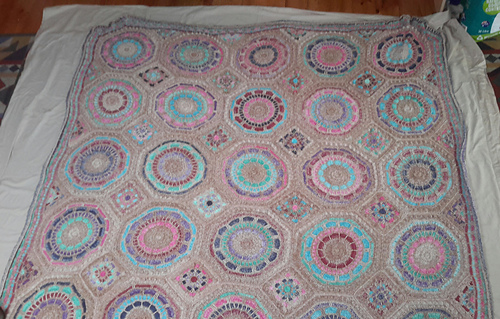 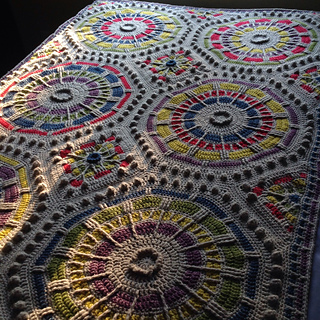 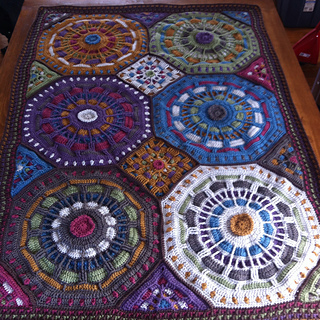 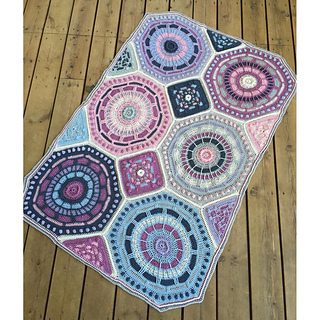 48" x 72; 48" x 48"
Originally our 2015 Mystery Afghan; now compiled into one file with photos. 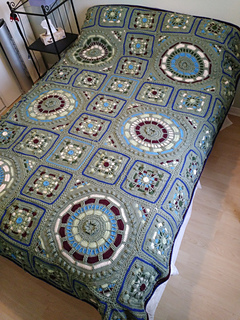 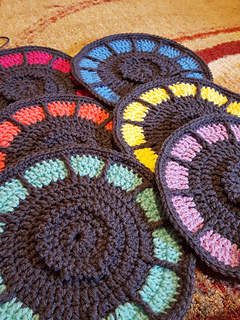 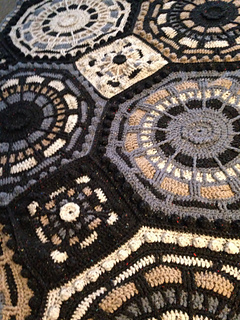 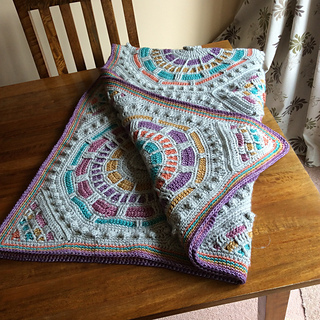 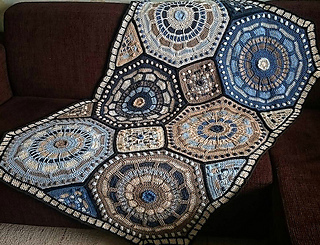 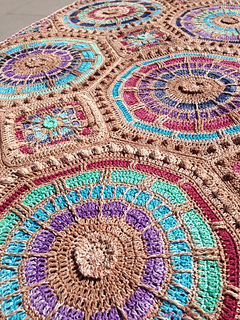 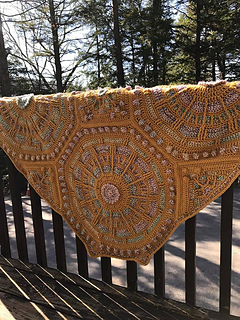 Pattern has been successfully completed by hundreds of crocheters. 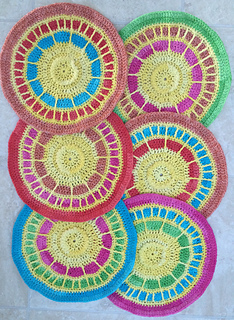 Suitable for the intermediate crocheter or adventurous beginner. 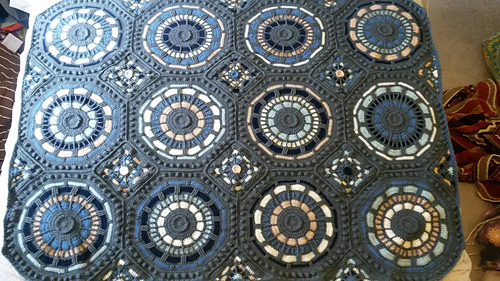 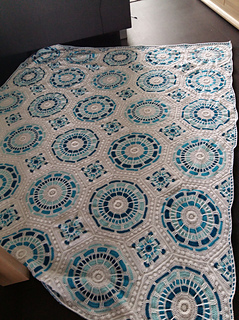 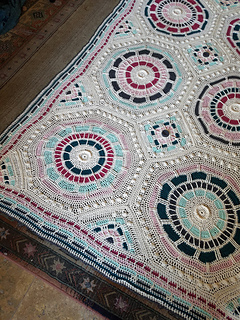 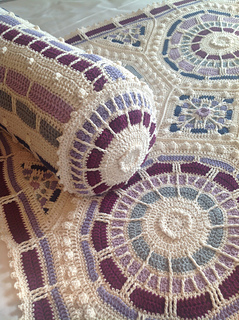 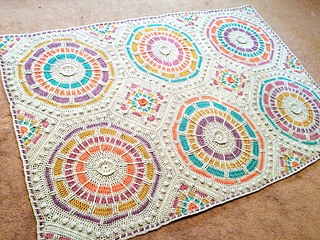 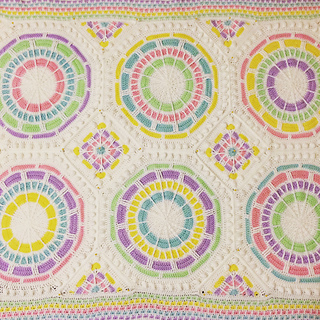 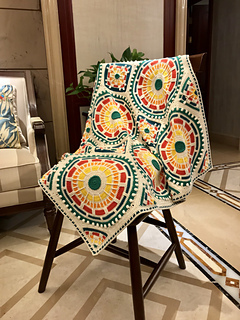 Post stitches, popcorn stitches, and your basic crochet stitches combine into a textural design resembling mosaic tile. 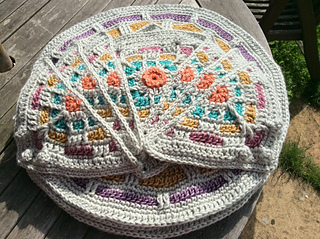 YarnPacks in the delectable Scheepjeswol Stone Washed XL are available at Deramores. 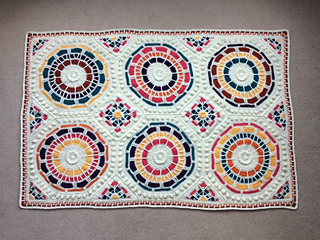 Purchase through the link on my blog and I’ll receive a commission, thanks. 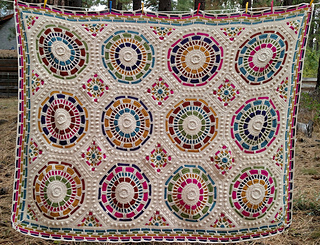 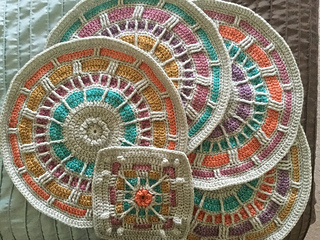 Let’s chat about the pattern on my Ravelry board, my Facebook page, and my blog.